WASHINGTON — Consumers boosted their spending in October at the fastest pace in seven months, while their incomes rose by the largest amount in nine months — both good signs for future economic growth. 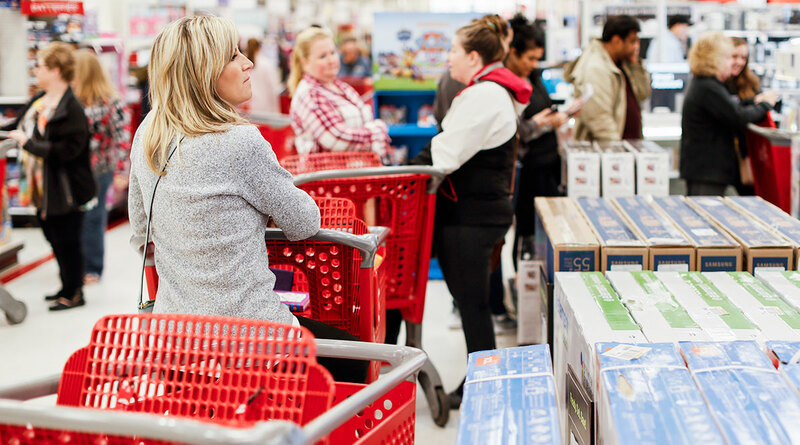 Consumer spending rose a sharp 0.6%, the Commerce Department reported Nov. 29. It was the biggest increase since a similar gain in March and was three times faster than the 0.2% September performance. Incomes, which provide the fuel for spending, were up 0.5% in October, a significant pickup from a 0.2% September gain. A key gauge of inflation tied to consumer spending posted a 2% rise in October compared with a year ago, hitting the annual target for inflation set by the Federal Reserve. Excluding volatile food and energy costs, inflation has posted a 12-month gain of 1.8% in October, down from a 1.9% September advance. Federal Reserve Chairman Jerome Powell ignited a big rally on Wall Street on Nov. 28 with a speech which investors read as a signal that the central bank may slow the pace of interest rate hikes next year. The Fed has boosted rates three times this year and is expected to increase rates a fourth time in December. Consumer spending is closely watched because it accounts for 70% of economic activity. The government reported Nov. 28 that the overall economy, as measured by the gross domestic product, grew at a 3.5% rate in the July-September quarter. Economists are looking for GDP growth to slow to around 2.5% in the current quarter. But for the year, they expect GDP will grow by around 3%, the strongest performance in 13 years. The rise in spending reflected strong gains in purchases of durable goods, items such as autos expected to last at least three years and nondurable goods and services such as utility payments. After adjusting for inflation, the spending increase was a still-strong 0.4%, up from a tiny 0.1% inflation-adjusted rise in September. The advance in personal incomes included a 0.3% rise in wages and salaries. The faster increase in spending compared with income growth left the saving rate at 6.2% of after-tax income, down slightly from 6.3% in September.